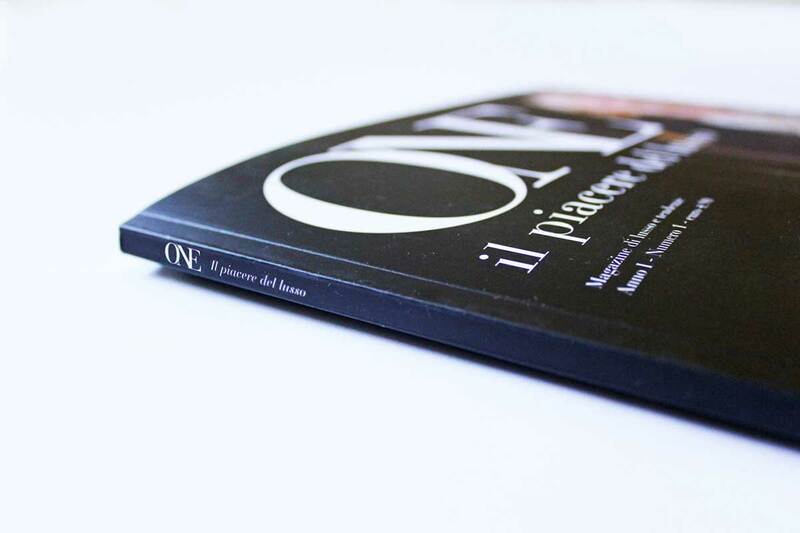 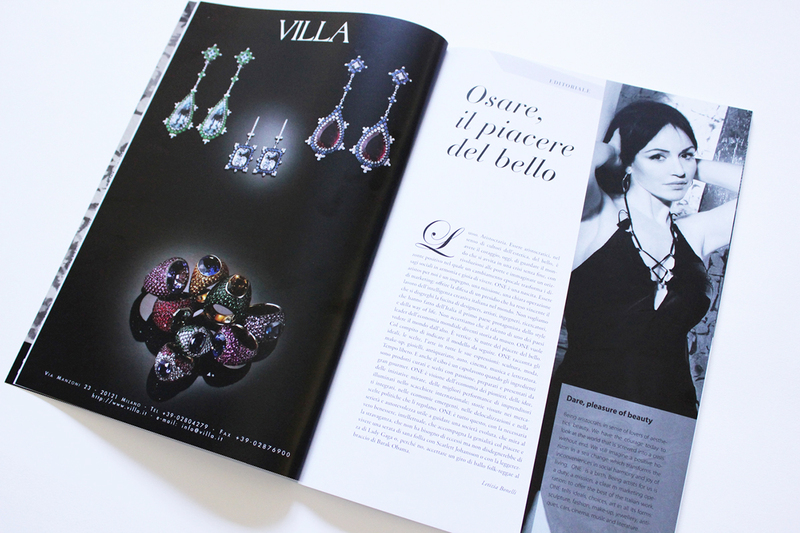 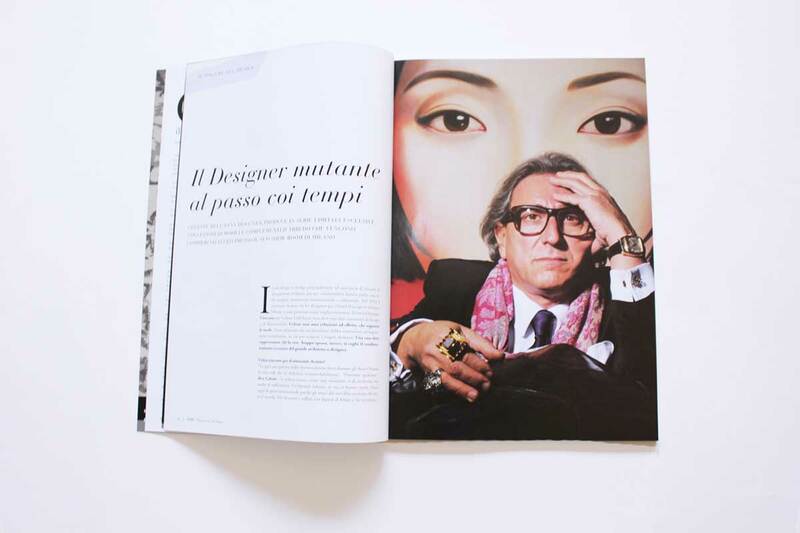 Graphic design and layout of the bi-monthly magazine "ONE - Il piacere del lusso". 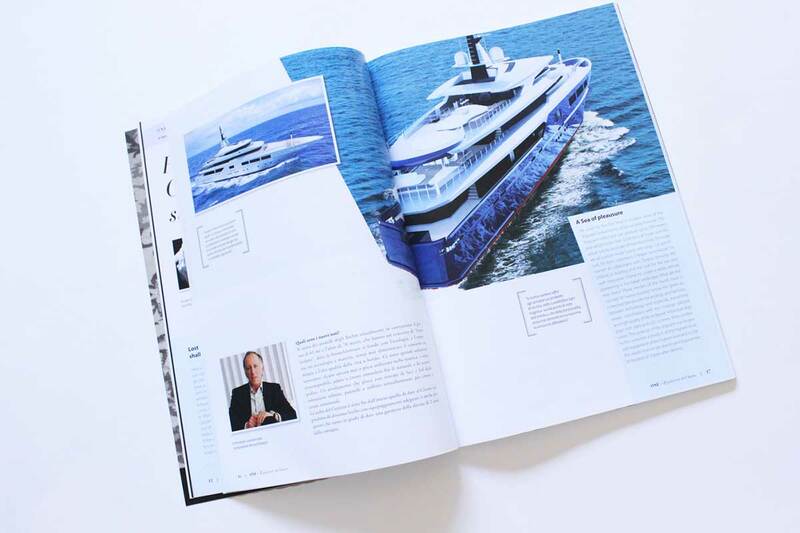 It's a paper-only magazine (Italian and English) distributed on 1000 private flights per month (Milan, Rome, Turin, Venice, Bologna, Olbia), in the best five-star hotels, in shops of Milan city center and the Stock Exchange. 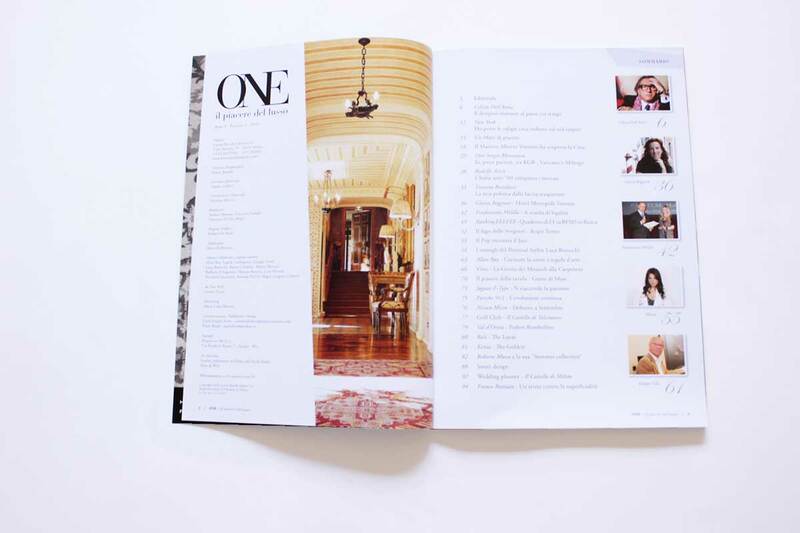 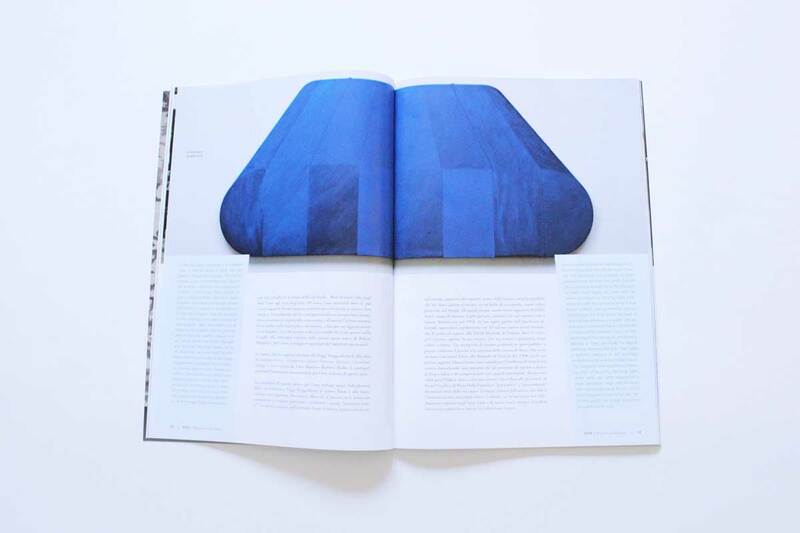 This magazine tells about luxury through Art, Design, Car, Fashion, Kitchen and Travel.